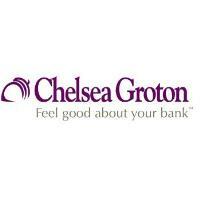 Groton, CT – Jennifer Pensa recently joined Chelsea Groton Bank as Senior Vice President, Director of Operations. In this role, Jenn will be responsible for overseeing many departments at the Bank, including Business Intelligence, Deposit Operations, Direct Banking/E-Commerce, Facilities, Purchasing, Security and Technology Services. Most recently, Jenn was VP, Contact Center and Customer Experience at WSFS Bank in Wilmington, DE, a multi-billion dollar financial services company with 76 offices in the mid-Atlantic. Prior to that, she held various positions at Guilford Savings Bank, culminating in her role as Senior Operations Officer. Before her transition to the financial industry, she was Executive Director of the Guilford Chamber of Commerce. Jenn earned her B.S. in Applied Behavioral Science from Penn State University. She and her family reside in North Stonington, CT.